Running a vape site makes it difficult to get attached to specific devices. However, the original Horizon Arco tank was a standout performer that continues to stay in my rotation, thanks to its fantastic flavor from a unique flax paper coil structure. 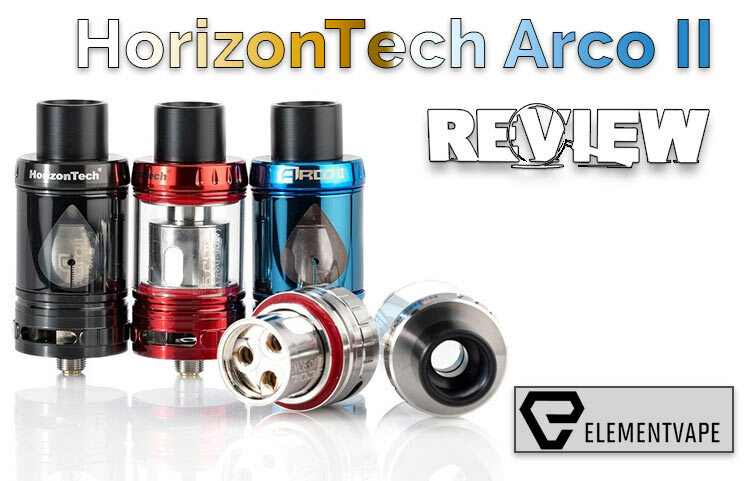 Hot on its heels comes the HorizonTech Arco II sub-ohm tank, which promises a continuation of everything we loved about the first, alongside a few new design choices to improve the experience. Will these changes be enough to justify the quick turnaround for version two? Let’s see if the Arco II brings the goods. Right when you open the box, the Arco II jumps out at you. 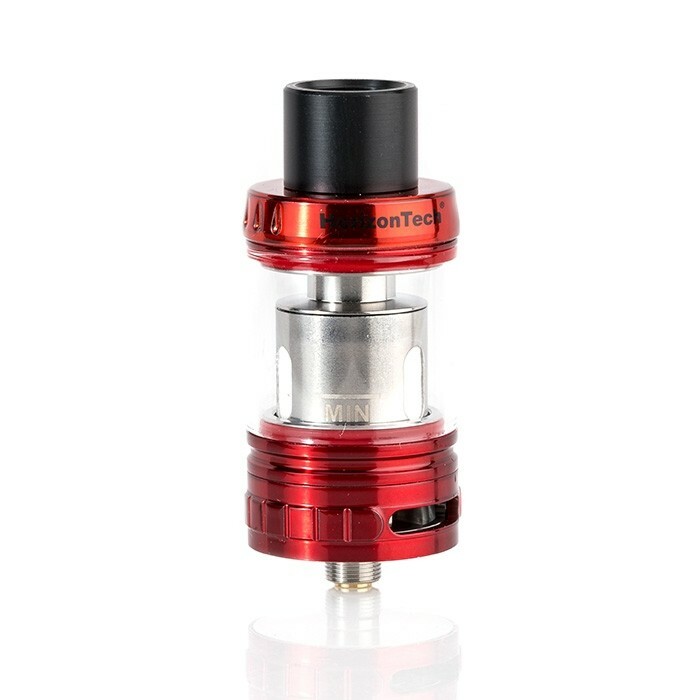 My stainless and red/orange model was nicely color-matched right out of the box, with the rest of the contents – spare glass, two coils, extra o-rings and gaskets, spare drip-tip – are well laid-out in the compact packaging. No space is wasted, and no corners were cut. The Arco II is a great little package, all around. Removing the tank from the box, the 5mL Arco II just seems really well-built. It’s not the most unique design, but then again, how much innovation is needed for a tank’s appearance? What’s more important is the build quality, and HorizonTech has delivered in a big way. Returning from the original Arco is the vacuum-plated glass section, which is purported to be more durable than standard glass. 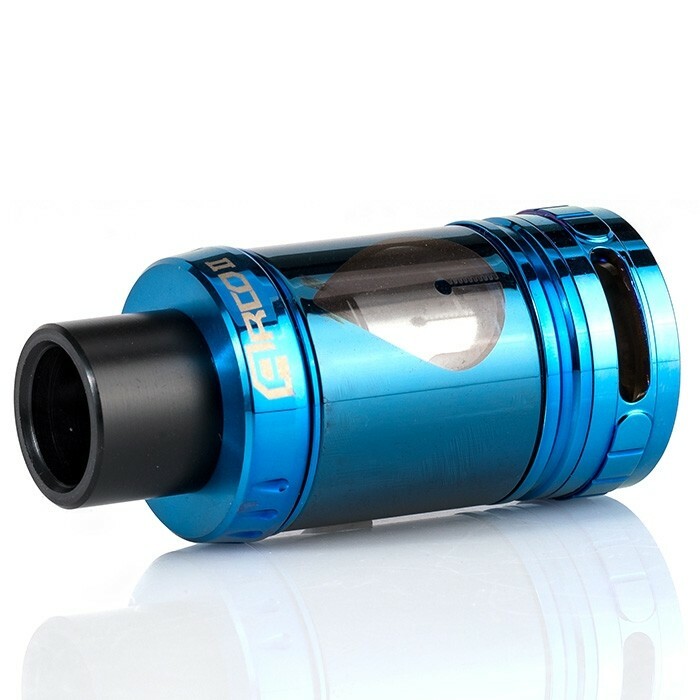 One thing I noticed with the original is how the inside of the tank section never fogged or muddied with e-liquid droplets, and I’m happy to report the same is true of the Arco II. In turn, the stainless steel body features flawless threading and precise knurling, with no muscle needed to separate the sections. When cleaning, each piece comes apart and reassembles with ease, and no leaking or condensation occurs near airflow slots or the base. Again, just rock-solid design. The color-matched Delrin drip-tip is a highlight of the Arco II tank, as it is extremely comfortable, and stays cool on the lips, even at higher wattages. For those who aren’t happy with this option, the Arco II also comes with a well-fit 510 adapter. Finally, the easy-to-use top cap comes off with a simple twist, but stays snug, even in pockets. Opening the cap reveals two tremendous fill ports, which allow for all types of droppers and bottles to fill without odd pooling or overflow. 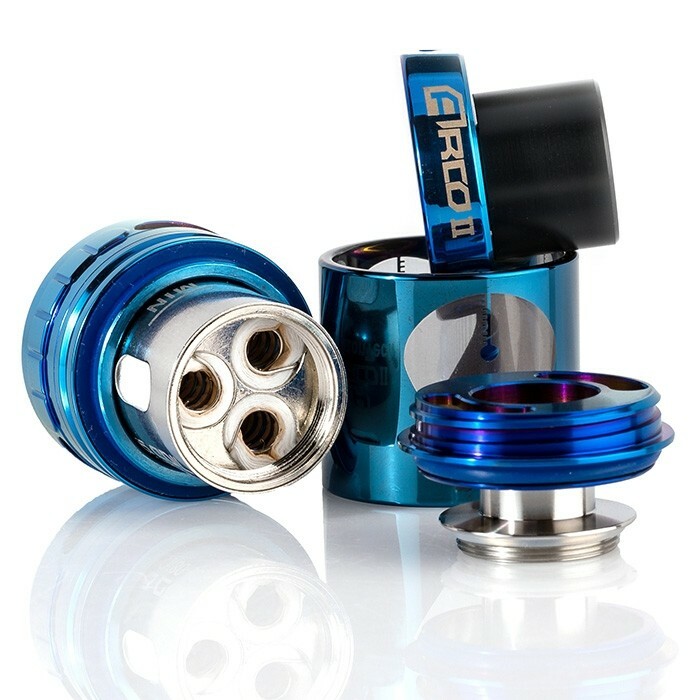 As you may remember, the Arco brand is centered on the “flax paper liquid guiding system.” While that might be a bit of marketing jargon, in reality, the Arco T6 coil’s traditional cotton, flax cotton and flax paper combination does a tremendous job absorbing juice and directing it to the coils. This resulted in huge flavor and a complete lack of dry hits or flat flavor. As it was with the original Arco, these coils are extremely thirsty. Where a standard multiple-coil head can absorb 1-2 mL to prime, the Arco coils were far more ravenous when wetting them. The upside to this is a consistently great hit from the very start, with little, if any, break-in time. I experienced just a handful of mediocre draws before the Arco II began to sing some very high notes. Within a minute of juicing and priming the included T6 triple-headed steel coils, my office was filled with thick clouds of tasty vapor. Using a very nuanced, layered e-liquid, I noticed flavor profiles that would have been muted in lesser devices. Though the T6 coils were thirsty when initially filling the Arco II tank, they were frugal when vaping. 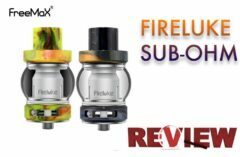 No one will mistake the tank for having MTL-level consumption, but when compared to similar high-wattage, sub-ohm tanks, the Arco II proved to be more conservative than most, without sacrificing flavor or vapor production. One concern I have is about the durability and longevity of the new T-series coils. While the original Arco coils were extremely durable, offering strong flavor and vapor production for weeks, I’m noticing a drop in both areas after just a few days of moderate use. When opening the tank to investigate, I noticed slight burning and darkening around the flax inserts – the exact thing these coils were designed to avoid. In comparison, the original Arco A-series coils – of which I’ve bought my share – rarely, if ever scorched until they hit the bitter ends of their lifespans. Even under steady high-wattage use, those coils seemed to stay “clean” to the naked eye for weeks. However, these were a little weathered after just two days. Admittedly, it was heavy use, but this was still surprising. That said, HorizonTech did the right thing and made the original Arco (A4 and A6) and Arco II (T6) coils compatible for either device, allowing each set of customers to make their own determinations. In a day and age when seemingly every device has a proprietary coil design, this was a refreshing gesture – one that only strengthens HorizonTech’s belief in this technology, and the Arco brand. 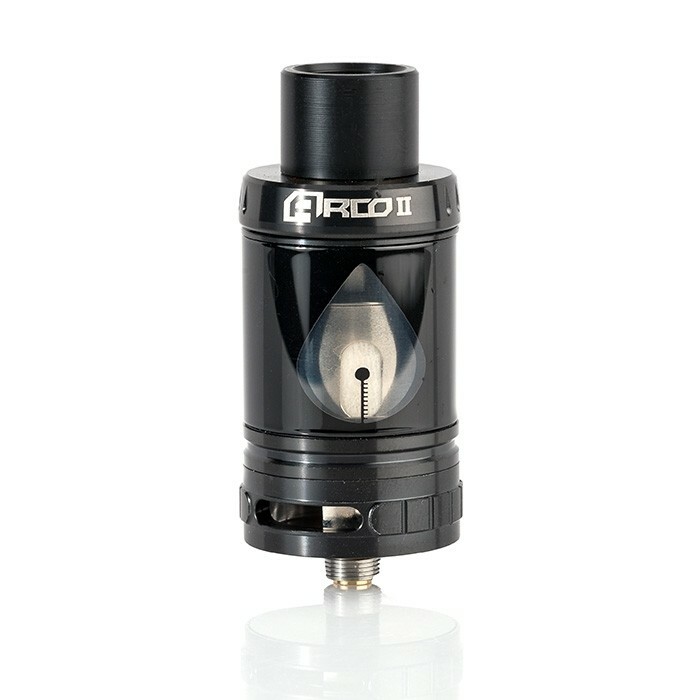 As we’ve discussed here, the Arco II offers a flavorful, dense vape, which should enhance any e-liquid you throw its way. Using a variety of high-VG juices, the Arco II coils not only brought out deep flavors, but also managed to change gears very quickly when switching juices. Within just a few puffs, new liquids worked their way through the cotton guiding system to the coils, allowing minimal “cross-pollination” of flavors. 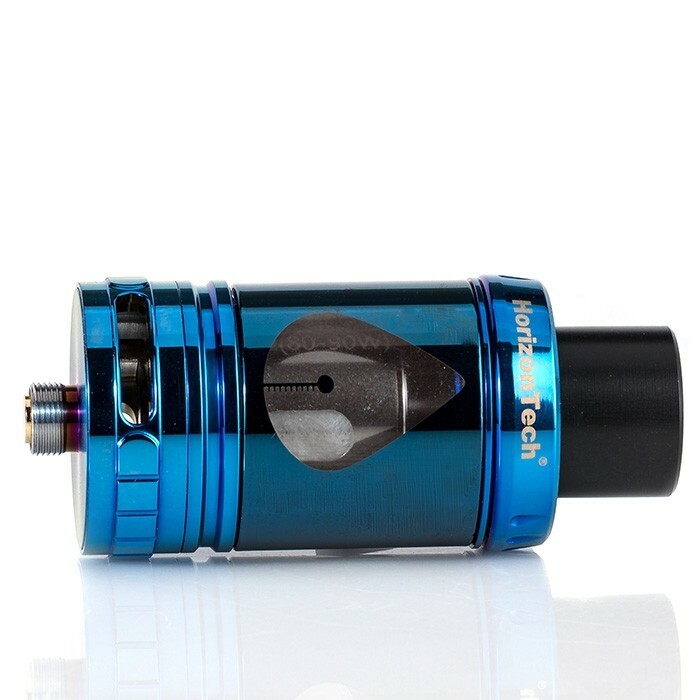 Using the Arco II on a Lost Vape Paranormal DNA166 mod at 80-90 watts (the recommended range for the T6 coils) I found the tank stayed cool to the touch. Even when I pushed the coils higher than the listed wattage range, the tank never became uncomfortable, especially on the Delrin drip tip. For the record, we do NOT recommend pushing the Arco coils – or any coils, for that matter – beyond their listed capabilities. We do so for the sake of testing, not to demonstrate a recommended practice. To test how well the tank accommodates the original Arco coils, I popped in a brand new A4 coil, primed it, and was happy to see how well it seated in the Arco II base. There were no threading or tightening issues, and everything sat flush, with no leaking. I refilled the tank, and experienced equally wonderful flavor and vapor from this coil, as if it was a native match to the tank. Airflow control on the Arco II is a standard dual-slot, bottom AFC design which is butter-smooth, and easy to control, while snug enough to stay put during use, or in a pocket (though you should close off those AFC rings in pockets, lest you receive a slight, but embarrassingly located damp spot on the front of your jeans). In my original Arco tank review, I expressed a desire to have an RBA section included, along with some flax cotton to help users create their own experience with these new materials. 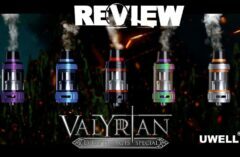 However, after vaping these fantastic coils, and taking a closer look at how intricate the construction is within the chamber, I no longer think it’s necessary. 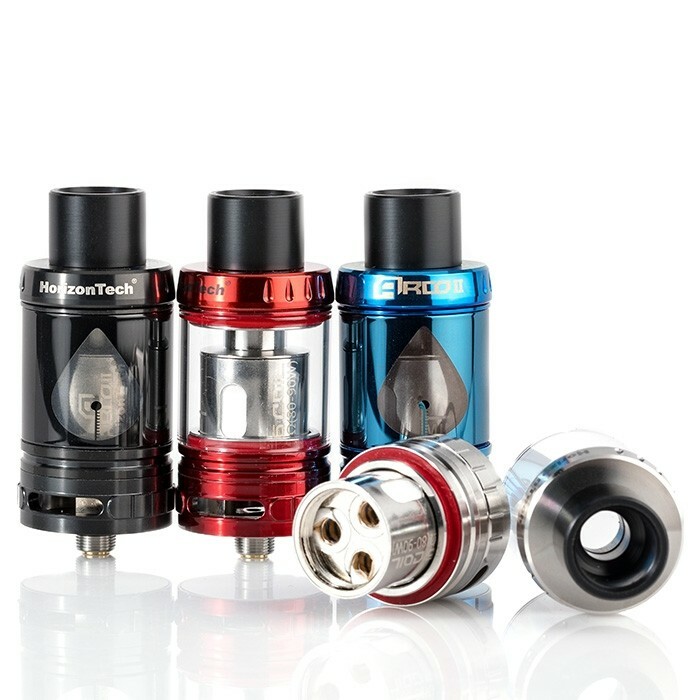 Unlike so many companies that tout “technology” within their coils, the Arco and Arco II coils are true systems, with unique, innovative design that moves e-liquid to the coils efficiently. An RBA would be welcome, though I now believe the Arco experience is best enjoyed as HorizonTech intended. What can I say that hasn’t already been said? 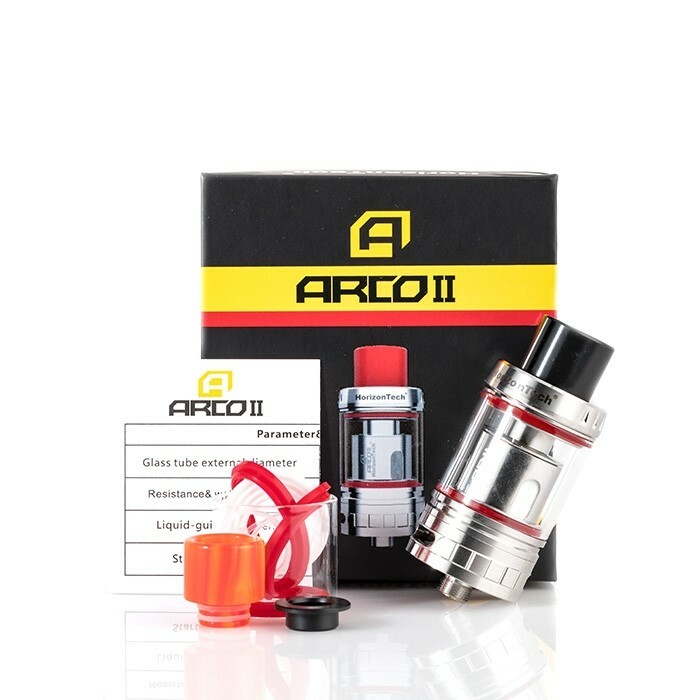 Though there is a mild concern about the durability of the new Arco II T-series coils (and we WILL continue to monitor this over the next few weeks) the overall vape quality of the tank and coil system is too good to ignore. Add in seamless compatibility with the proven Arco A-series coils, and you have a tank with an established ecosystem, and room to grow. If you’re chasing new levels of flavor and enjoyability in your vape, put the HorizonTech Arco II on your short list of desirable tanks.